Is committed to providing all of our customers with the highest quality collision and accident repair services in the industry. It is our mission to ensure that all vehicles that we repair are as safe and aesthetically pleasing as the day you purchased it. Our highest priority is that every customer leaves our shop with a smile on their face and a vehicle that has the highest safety and integrity. We never sacrifice quality, safety or craftsmanship. All of our technicians are highly trained and passionate about their craft. Come to Auto Perfection Group and experience the Auto Perfection Group difference. Auto Perfection Group was founded on four simple standards: Honesty, Integrity, Accommodation and Excellence. We understand that auto body repair is often a new process for our customers and take it upon ourselves to make the process as simple as possible. Our goal is to get the vehicle repaired with as little inconvenience as possible, to the customer and all parties involved, without sacrificing quality. 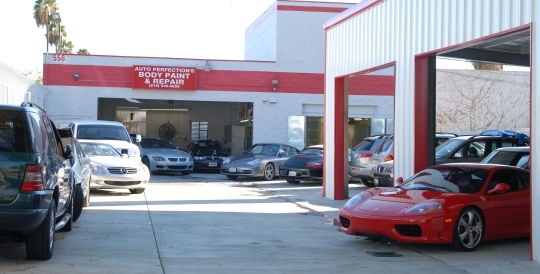 Making your autobody repair experience a pleasurable one is what we do at Auto Perfection Group, and we look forward to helping you get your car back on the road safely, friendly and with top class repairs and service work.